Christmastime is here! Everyone keeps saying it’s the most wonderful time of the year. But when we really look at our lives and look at this season, it doesn’t seem so wonderful. Too often, Christmas seems complicated and messy. If we were being honest, Christmas sometimes feels just as dark or darker than the rest of the year. 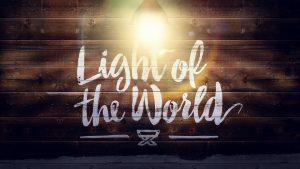 Join us as we kick off a brand new series entitled “Light of the World” by discovering what it looks like to find light in the midst of the complicated, confusing, messy, and dark moments of life.